Additional Info: I am a pianist. I teach the piano lessons here. I come from China. 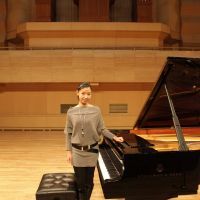 When I lived in China, I v gotten a Master's Degree on piano performance. I have held twice piano concerts and been a accompanist for several years. I am passionate in playing and looking forward to meeting nice musician.